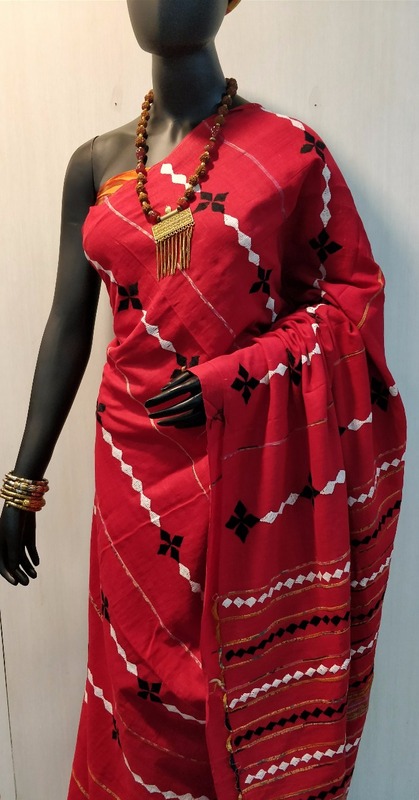 This elegant saree has perfect modern and ethnic blend.The body of the saree has attractive Red colour with perfect Multi coloured embroidery design. This saree showcases sheer texture, light weight and makes for a delightful drape.A great fit for every season and all happy occasions. The saree comes with blouse piece.